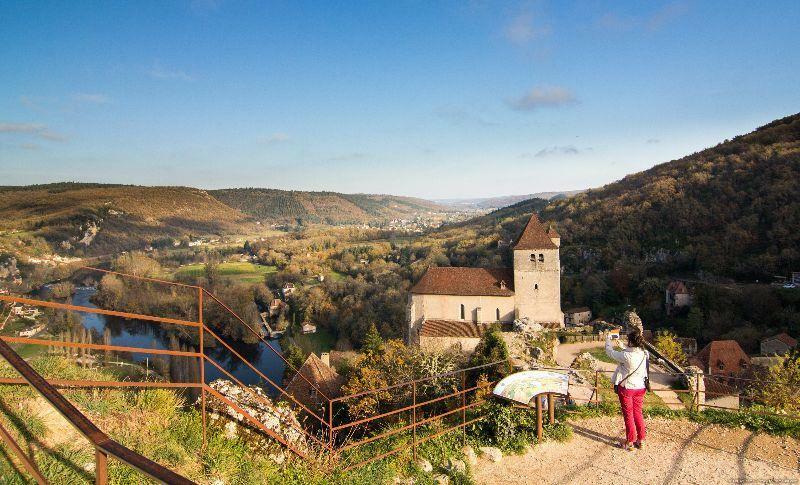 Perched above the River Lot, the medieval village nestles in the cliffside in a spectacular manner. 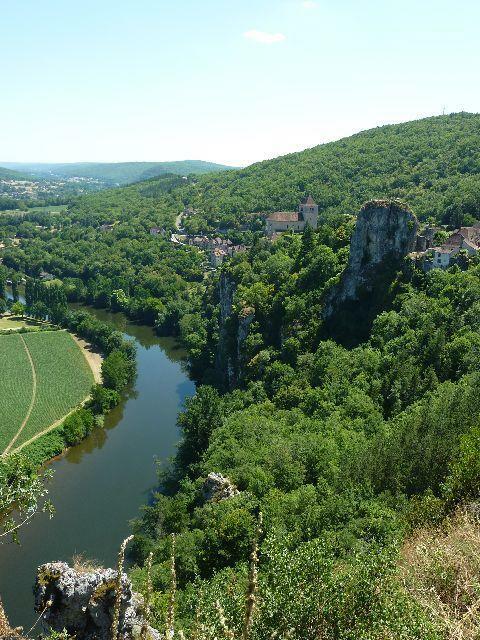 Starting at Cahors, a road between the cliffs winds its way through the Lot Valley all the way to Saint-Cirq-Lapopie. 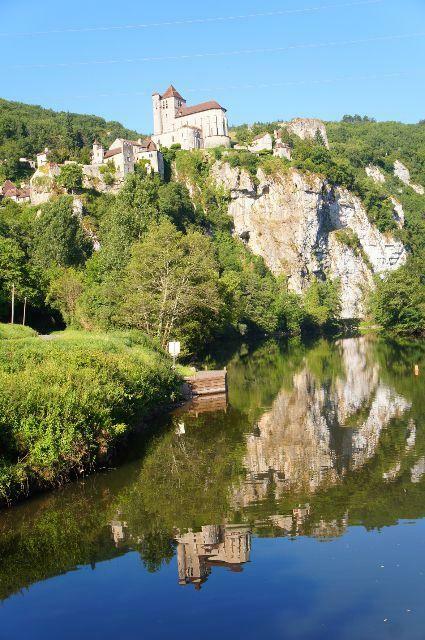 This medieval village, voted France’s favourite village, hugs the rock face 100 metres above the river. 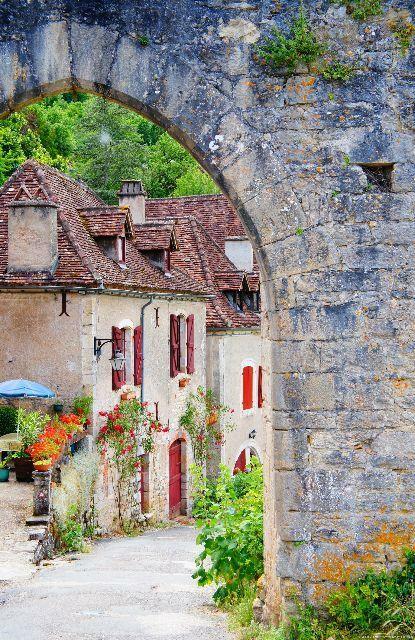 It unfurls in a cascade of cobbled streets, Gothic façades, fortified doors and hollyhocks. 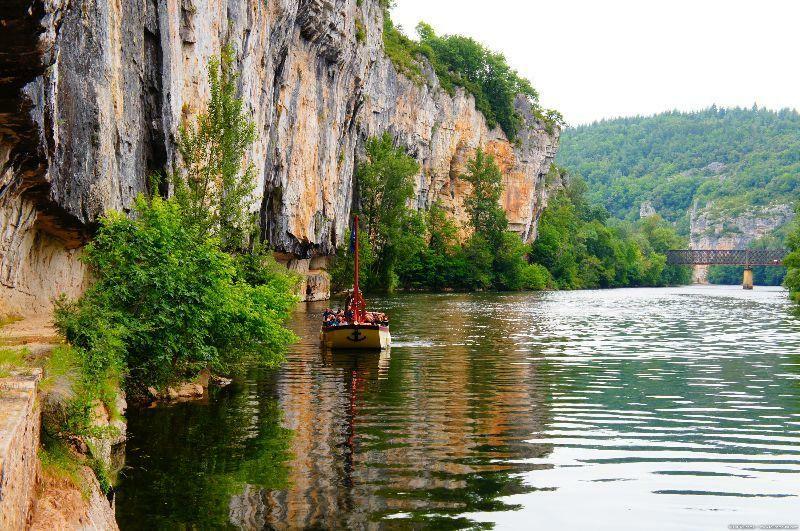 Once a thriving centre for boating, renowned for its woodturners, Saint-Cirq-Lapopie is now a listed site with 13 historic monuments. 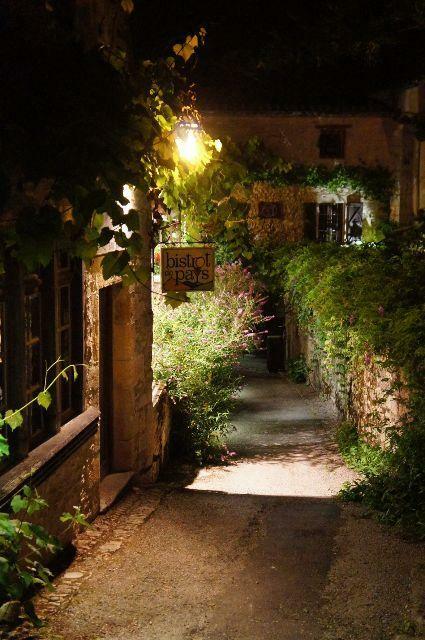 The village has kept its entire heritage intact, and is above all an unbelievably charming place. Shops, restaurants and cafes hide from the sun in the shade of the ogival doors. At the turn of the 20th century, the village began to attract artists, Parisian gallery owners and, from 1950 onwards, many Surrealist artists. This artistic aspect is still very much in evidence today, along the contemporary art trail and of course at the international artists’ residence at Maison Daura.